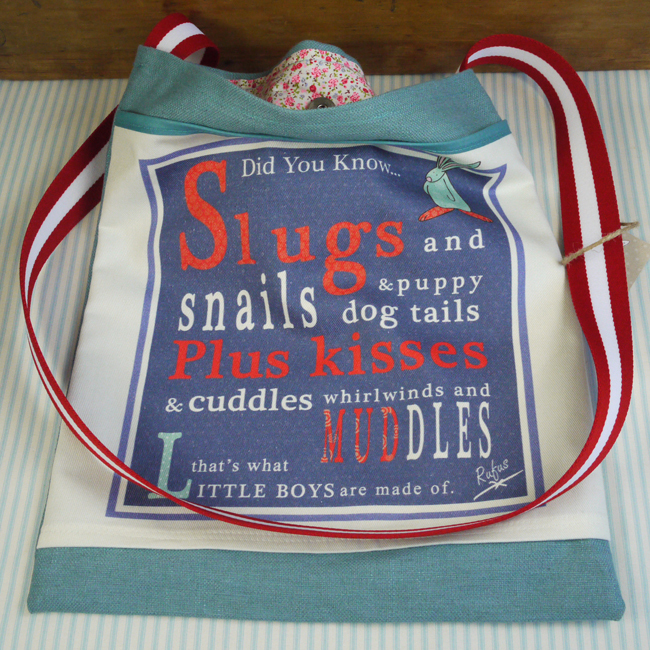 Did you know... Slugs and snails & puppy dog tails. Plus kisses & cuddles, whirlwinds and muddles. That's what little boys are made of. 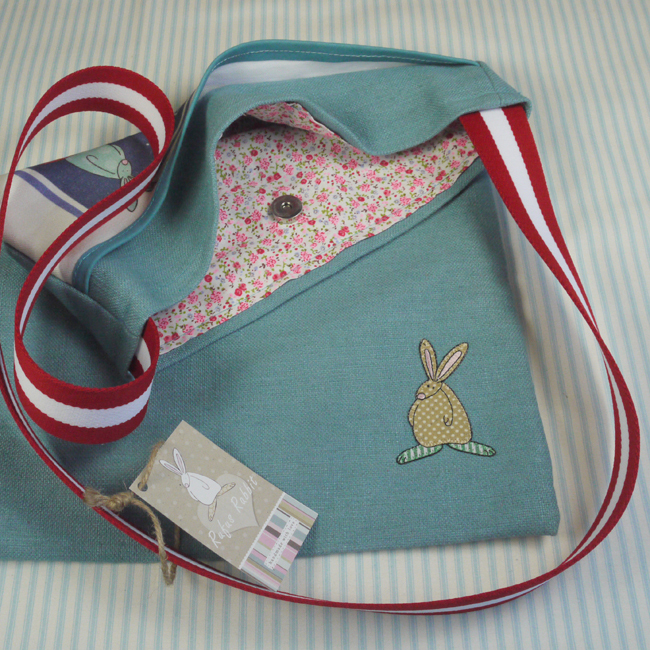 A Rufus Rabbit Pram Bag. Another option for the Slugs & Snails fabric print. This time we have turned it into a messenger bag which hangs perfectly from the handles of your push chair .Perfect for nursery days, park days or spontaneous just popping out days (if such a thing exists when you have children) This original twist on an old nursery ditty attempts to bring some balance and light humour to the boys v’s girls debate. Printed in the UK and made right here at Bunny HQ, these bags are small in number and exclusive to our website but once they’ve gone, they’ve gone! Large front pocket with rabbit appliqué detail on the reverse.